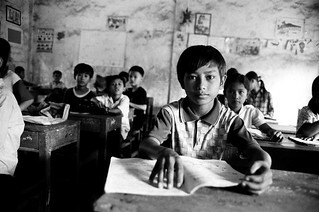 The first action of most organizations in combating child labour is to help children take their right to an education. This 13 year old is one of 60 children who were withdrawn from work on a rubber plantation and re-intergrated into formal education. However, it is not always possible for a child to give up working entirely. Their family may depend on their earnings. 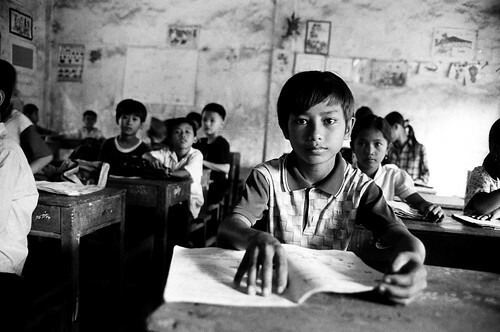 In these cases, more creative solutions are required to give some access to learning.